Check the video below for an indication of the LEDs and how the charge the footpods. Alternatively, check out the steps below. You can charge two ARION footpods at the same time using the custom ARION charger that is included in every ARION pack. 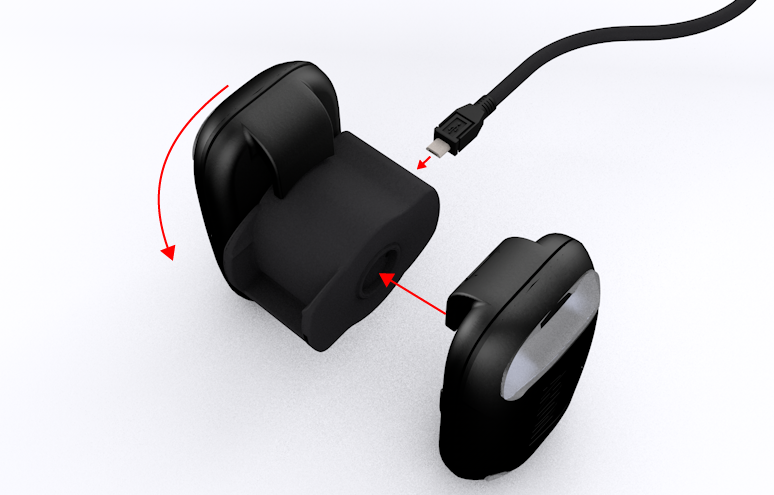 See the image below to understand how to mount the footpods to the charger. When you have the footpod(s) connected to the charger, the LEDs will turn on automatically and indicate the status. Below is an indication of the different LED colors while charging. In the meantime you can continue with placing the ARION smart insoles in your running shoes.